POTUS Trump continues to work hard to keep yet another campaign promise to the tens of millions who elected him by doing all he can to see the disastrous Obamacare healthcare law dismantled and thrown into the scrap heap. …President Trump has had a major impact on the Fifth Circuit through his judicial appointments. Proven constitutional conservatives like Judges Don Willett, Jim Ho, Andy Oldham, and Kyle Duncan now sit on that court, under the mentoring of the fearless originalist Edith Jones and the libertarian-leaning Jerry Smith. Those last few paragraphs above outline something very important regarding the Trump White House. It has managed to reorganize much of the federal government in a way that gives a great deal of power back to the people. The president has done so almost entirely on his own. Democrats oppose him. Many Republicans oppose him. And certainly the far left media opposes him. But in the end, he continues to outmaneuver them all to such a degree of success that even his supporters are amazed. To anyone who thought President Trump was giving up the fight to improve the nation’s healthcare system they haven’t been paying attention. He is a man who doesn’t appear to know the meaning of the word quit. Bypassing a Republican do-nothing Congress (whose leadership remains firmly anti-Trump & anti-Middle Class) POTUS Trump signed an Executive Order that greatly expands healthcare choice in America which is the opposite of what the failed, insanely expensive, and now crumbling, Obamacare legislation did. …Trump is removing Obama’s 90-day limit, reopening that low-cost option. That’s good news for 8 million people currently getting whacked with an ObamaCare tax penalty for not having insurance, and another 11 million uninsured who avoided the penalty by pleading hardship. Count on many of them to buy coverage when they have an affordable option. That will reduce the number of uninsured. …A less detailed part of Trump’s announcement gives the green light to so-called association plans, which would allow small employers and perhaps even individuals to group together across state lines, giving them the same purchasing clout as large multi-state employers. Time will tell whether these work out. Trump has now seized the initiative, after congressional Republicans fell flat on their faces and failed to address the pain ObamaCare is inflicting on consumers stuck in the individual insurance market. More choice and lower cost for Middle Class Americans = the media & political establishment freaking out. Obamacare was never about providing healthcare. It was always about centralized government control over your life. Donald Trump just gave Americans a big push-back against that kind of control. It will take a bit of time for those new Trump-provided choices to kick in, but kick in they will. The media attacks will be off the charts yet POTUS Trump simply marches on. Lindsey Graham, a longtime Establishment fixture, and Bill Cassidy, senator from Louisiana, (who is also a former physician) revealed a surprising effort over the weekend to revisit getting rid of the failed and costly Obamacare boondoggle that has decimated American healthcare while making the insurance and drug companies even more wealthy than they already were. The gist of the Graham-Cassidy bill is to eliminate the central-authority mandates of Obamacare and instead allocate block grant monies to states to created viable healthcare programs that are more locally controlled. Should it succeed it would mark a remarkable shift away from the D.C. power structure that currently dominates the healthcare industry in this country. Democrats are now screeching in real time. Senator Minority Leader Chuck Schumer issued a “red-alert” soon after the bill was introduced that warned Republicans were trying to sneak a repeal and replacement into place by the end of September. POTUS Trump has given little support to the bill yet which in turn has Senator Graham begging the President to help out the cause while he spoke on the floor of the Senate. “Without your voice, we cannot succeed,” said Graham. 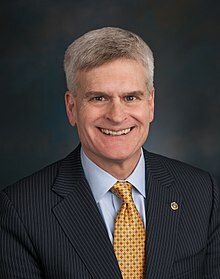 Senator Cassidy stated that an informal voted count, even before any real pressure to gather votes has started, showed the bill is already just a few shy of passage. And it all was initiated by POTUS Trump. Cassidy and Graham were said to be both startled at the levels of voter animosity they were receiving in their (southern) states for the lack of support being given by Congress to the Trump agenda. They soon discovered their concerns were shared as other Republicans shared similar stories of voter unrest. These unhappy voters remained steadfast in their support of Trump and placed the blame of legislative inactivity squarely on the shoulders of Republicans in Congress. The promise to do something about Obamacare had been broken and voters indicated they would remember that failed promise come the Midterm Elections. Trump then made a very public pivot toward Democrat leadership which angered Establishment Republicans who felt they were being shut out. This anger turned to fear, though, as feedback from voters in their respective states made clear it wouldn’t be Trump who paid a price, but them. Suddenly, Republicans were literally begging Trump to support their legislation. Meanwhile, Mr. Trump remains focused on a tax overhaul and his White House staffers are now coordinating a possible one-two legislative knockout punch that would have him signing legislation to repeal Obamacare and slash taxes. More healthcare choices. Lower taxes. A stronger economy. As the war in Washington wages on, Team Trump is poised to win some very critical battles as he unleashes some Art of the Deal mastery over the political roadblock known as Congress. Because the Mainstream Media has been so quiet about it, most Americans are still unaware that members of Congress and their staff were granted a secret little exemption from Obamacare and enjoy significant subsidies to keep their own healthcare costs down. That truth now getting out there thanks to readers like you who are making it known to others. Because of that, more and more are now calling for POTUS Trump to eliminate these subsidies so that D.C. politicians can finally begin to feel the true pain of the Obamacare mandates. The collective whispers in D.C. are turning quickly into a far more loud din of demands from Democrats who now want to save what has been for some time the failing Obamacare boondoggle. These same Democrats wanted nothing to do with allowing Republicans a chance to fix the failed health coverage system. Instead, they are now said to be moving to push for what would be a further expansion of Medicaid which is nothing more than the final push toward single-payer, federally controlled healthcare. 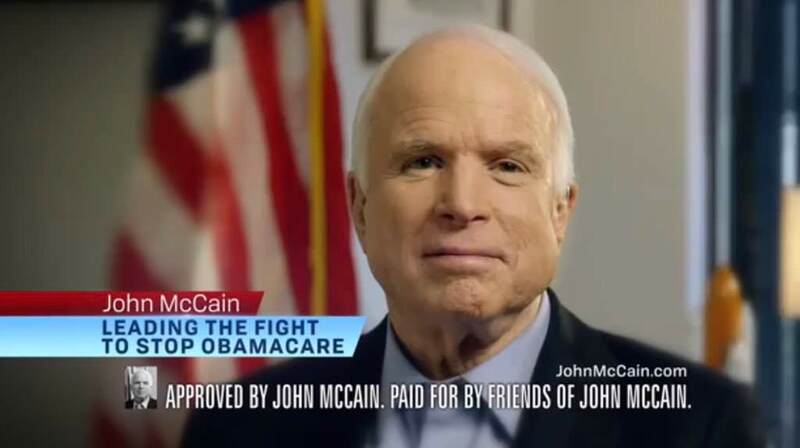 This debacle followed closely on the heels of three Republicans who voted late last night against any attempt to repeal Obamacare: Senators John McCain, Susan Collins, and Lisa Murkowski. Current CBO estimates have the cost of Obamacare at nearly $1.5 trillion dollars. An even broader expansion of Medicare/single payer could easily double that number over the next decade. Voters gave the Republican Party the House, the Senate, and now the White House. Those same Republicans voted time and time again to repeal Obamacare when Obama was POTUS. Now that Trump is POTUS and that repeal can actually happen – they choose not to repeal it as tens of millions of Americans are being battered and abused by the failed healthcare law. Perhaps if these same politicians were made to have to use Obamacare like so many other Americans are being forced to they might feel different? As for McCain, Collins, and Murkowski? They might as well declare themselves Democrats and be done with it. Oh, that fake news media and those weak Republicans! How many times in recent weeks have they warned of twenty-something million Americans would lost their health insurance if Obamacare was repealed? It’s been a near constant mantra used to bully and intimidate politicians into not doing the right and honest thing for Americans. July 27, 2017: If the individual mandate were to be repealed and Americans were no longer required to purchase the Obamacare-mandated levels of health insurance coverage, the Congressional Budget Office (CBO) believes that 15 million Americans would no longer purchase such coverage. Additionally, if the CBO projections are correct, there are 15 million Americans who would directly benefit from the repeal. Typically, when people are directly impacted by a law, their support or opposition is more intense than that of more casual observers. 15 MILLION Americans want out of Obamacare but are only staying in it out of fear of mandate penalties – and hardly a word is being said regarding this fact. That is far more than half of the millions who the media continue to repeat will be left without health insurance should Obamacare be repealed. It means a MAJORITY currently being forced to have Obamacare want out of Obamacare but the media, the Republicans, and the Democrats aren’t sharing this fact. Gutless rats the lot of them. There are very few figures in Washington D.C. willing to share the truth with the American people. The most notable among them is the POTUS Trump and the system is doing all it can to destroy him because of it. Republican Senate Majority Leader Mitch McConnell might as well also call himself the Democrat Minority Leader too given his penchant for behind-the-scenes machinations to save much of what is a failed Obamacare boondoggle. McConnell’s reasons are quite simple – his desire to maintain power. He and other Establishment Republicans fear a media backlash should they move forward with a full repeal and replace of Obamacare. That fear is a sad and undeniable testament to just how cowardly self-serving the Republican Party leadership truly are. …A bill focused on buttressing the nation’s insurance marketplaces will be needed if the full fledged Republican effort to repeal much of President Barack Obama‘s health care law fails, Senate Majority Leader Mitch McConnell said Thursday. It was one of his most explicit acknowledgments that his party’s top-priority drive to erase much of Obama’s landmark 2010 statutes might fall short. What McConnell is now signaling is an effort to actually SAVE much of Obamacare. More than a few believe that has been his intention all along. There is no difference between Democrat and Republican. The only difference is that between those who wish to put American first and those who do not. Appallingly pathetic. For eight years Republicans promised voters they would dismantle Obamacare. They took in millions upon millions of political donation dollars on that promise. They ran on it. They were elected and re-elected on it. And now some of them are breaking it. Exhibit one of this two-faced politicking is Nevada Republican Senator Dean Heller who has now gone on record stating he will effectively stand shoulder-to-shoulder with Democrats to protect the failing Obamacare debacle. Heller isn’t worried about helping Americans who need a failing healthcare system to be overhauled – a need made more urgent by the disaster that is Obamacare. No, all Senator Heller cares about is his re-election in 2018. 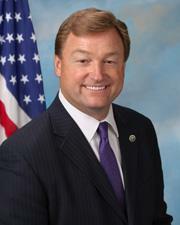 In 2010 and 2011 Heller told Nevada voters he was strongly opposed to Obamacare and any expansion of a federal healthcare system. Today he is stating he opposes any reduction of the federal healthcare system. Just another say one thing and do another (or do nothing) politician. And he’s not alone. Susan Collins of Maine and Bill Cassidy of Louisiana have also indicated a desire to protect much of the current Obamacare disaster. It is one thing to be a Republican senator stating opposition to the current Senate healthcare reform bill because you feel the bill does too little in scrapping the Obamacare mess. (Such as senators Ted Cruz and Rand Paul) But to be a Republican senator who is now fighting to protect Obamacare? Is it any wonder voters turned to Donald Trump, the most outside of outsider candidates in 2016 to try and fix the disgusting self-serving mess that is Washington D.C.? Let’s hope Nevada voters send Mr. Heller a very strong message come November 2018 by voting him out. If he’s replaced by a Democrat does it really matter? He’s already standing with them as it is.